Today I am going to review the January Owlcrate box, which was under the theme "Classic Remix". I was extremely excited for this box because I was already pretty sure what the book was going to be, and it was definitely on my anticipated reads list. I guess I should start this post by saying that there is a big SPOILER WARNING that goes along with this post because I will be discussing each item included in the box in depth. Now, is that all understood? Are you turning away if you don't want to be spoiled? Alrighty then! Let's continue. Owlcrate is a monthly young adult book box that includes 3 - 5 bookish accessories along with a newly released young adult novel. The box is $29.99/month+shipping and each month is based on a certain theme. Owlcrate is probably the most infamous book box out right now due to its success, and it is a great box for those who prefer more goodies than books. You can order your own personal Owlcrate here. This month's "Classic Remix" box was centered on classic fairytales and novels, and it was mostly centered on Phantom of the Opera. The first item included was a button with the month's theme design on it. Owlcrate started including buttons for each individual box a couple of months ago to be used as collectibles to show off your Owlcrate pride, and I think that they are quite cute. I will definitely be putting it on my book bag! 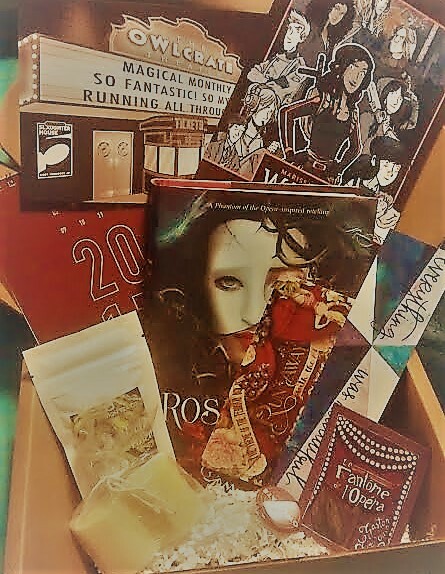 The box also came with an advertisement for a new book by Marissa Meyer as well as a product list card and a card revealing the theme for the next month's box along with a spoiler. I personally adore the graphics that Owlcrate uses, and I always end up keeping these inserts to be used as bookmarks. The first main item included in the box is this watercolor bookmark by Lexy Olivia. It features a quote by Slaughterhouse Five, and while I do think that it is cute, it just seems kind of flimsy to me. Usually, these types of bookmarks come in a plastic covering to preserve them, but this one was just thrown into the box. I wish more care had gone into packaging it because I didn't even think that it was one of the ticket items. It just looked like a promotional item to me. 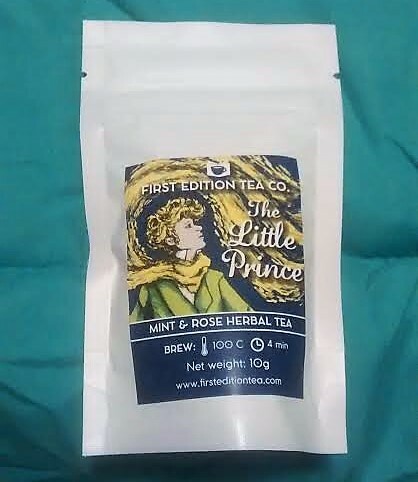 The next item included was this loose tea by First Edition Tea Co. based on The Little Prince. I always love a good tea, and the mint and rose theme of this tea really made me excited. It also goes well with the theme! 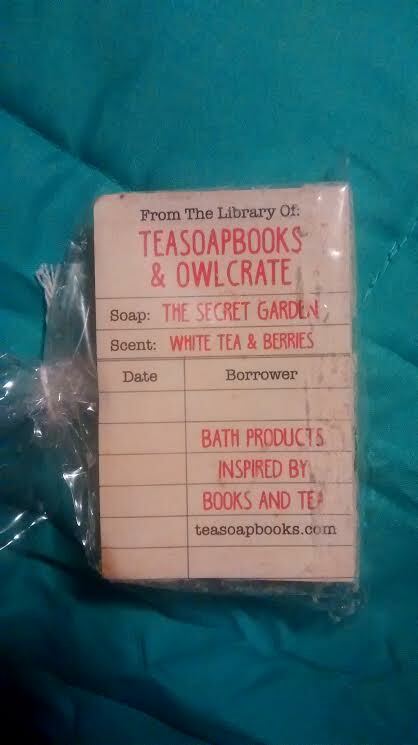 Another item included in the box was this bookish soap bay by Teasoapbooks. It is based on The Secret Garden and smells of white tea and berries. 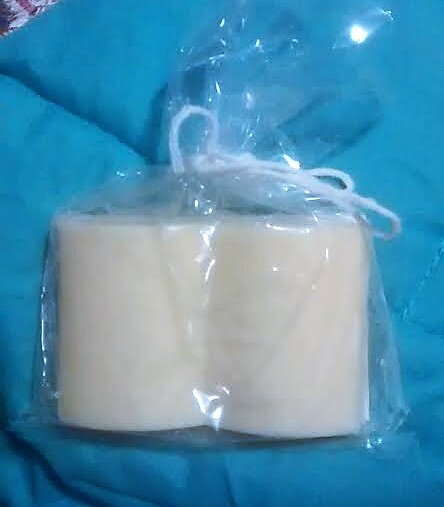 It smells amazing and I will definitely be using it up. It is probably my favorite item in this box! The next item included was this literary 2017 calendar by Obvious State. It features artwork with quotes from different classic novels and it is really cute. I like how compact it is, and even though I have a lot of calendars, I will be hanging it on my wall. 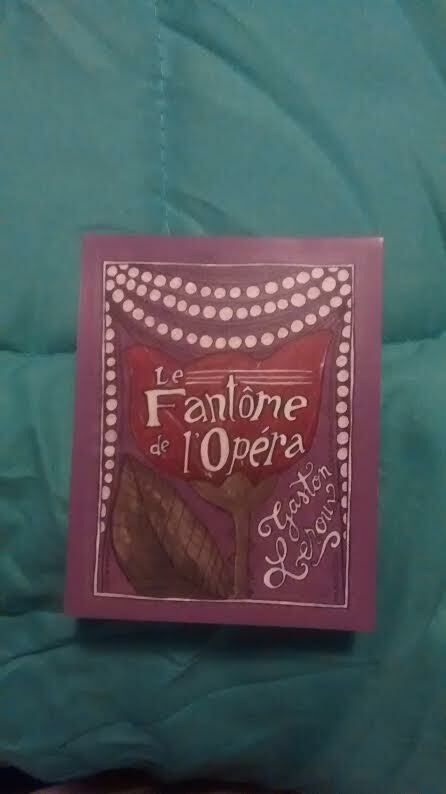 The last item included in the box was this Phantom of the Opera magnet by Sweet Sequels. The art is pretty cute, but the magnet itself is very flimsy and again, it just feels like a promotional item. Overall, I was very underwhelmed by this month's box. I felt that a lot of the items felt cheap and just thrown together. I love the book choice, but I know that Owlcrate can, and has, done better. It just seems like they may be putting more of their time and effort into their new Owlcrate Jr. box as this point in time. Hopefully, next month will be better!